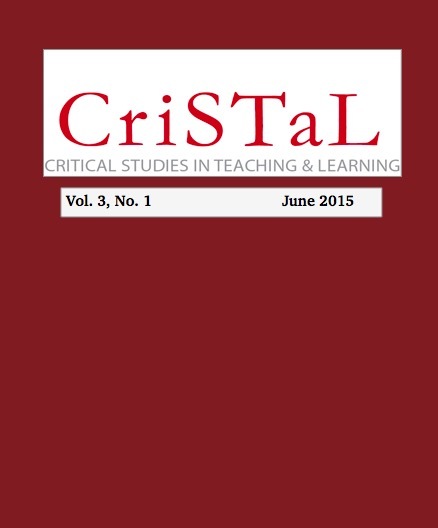 This article arises out of a broader study into the contextual influences on the professional development of academics as teachers in higher education in South Africa. Using Fairclough’s critical discourse analysis we examine the website of a ‘research-led’ South African university. We examine the choices made in the use of website space and the presence and absence of texts which refer to teaching or the development of teaching. We compare these choices with those made about portraying other aspects of the university’s self-described mission on the website as a proxy for the valuing of teaching. We recognise that marketing spaces cannot be seen to equate to the commitment of institutions, departments or individual academics, but our concern in this project was to understand what publicly accessible claims the university makes about teaching, and whether such claims are borne out by its own self-description. With regard to teaching we found that absences are more frequent than presences, especially in comparison with the way other ‘core functions’ of the university are presented. Taken together it is difficult to find support for the rhetoric of the valuing of teaching that is conveyed in the university’s self-description. We suggest that this lack of valuing of teaching may have an effect on the choices academics make in responding to calls to invest time in developing their teaching. Associate Professor Jeff Jawitz is a specialist in helping academics become more effective teachers. He spent 16 years working in educational development in Engineering at UCT before transferring, in 2005, to the Centre for Higher Education Development (CHED) with responsibility for academic staff development at UCT. Dr Kevin Williams retired in 2014 from the Centre for Innovation in Learning and Teaching, part of the Centre for Higher Education Development at UCT. He spent the previous 20 years working in student support and then staff development, initially at Rhodes University and since 2007, at UCT.